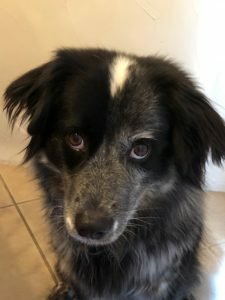 So, is your dog deliberately trying to upset you? Is he willfully doing things you don’t want him to do? Is he behaving like an incorrigible delinquent? Or is he behaving like, you know…a dog? If you’ve ever uttered one of the phrases above, then perhaps you might be expecting too much from your dog. Expecting a dog to think like, act like, or innately understand humans, is as unrealistic as us assuming some of their social habits as our own. Would you feel comfortable greeting someone with an awkwardly placed sniff? Are you okay eating out of the gutter or drinking from the toilet? Neither am I. Dogs are amazing in that they can learn how to “unlearn” behaviors that are very natural to them and adapt to something new. And they are so willing to make these changes if it makes us happy. It will be easier for everyone if we are patient and take the time to show them what we want, and not just expect them to somehow magically know. If your dog is doing something you don’t want him to do, try teaching him what you would like him to do instead. And, this parts important…while he is learning this new behavior, you should keep him from practicing the old behavior in the meantime. Here an example. Dog rushes to the door and jumps and barks on people as they try to enter the house. Instead, teach your dog to come to you for a cookie, when the doorbell rings, or go to his special place away from the door to get a treat. While he is still learning the new behavior… when the doorbell rings, put a leash on your dog and gently guide him to an area where he is out of the way and cannot jump on anybody. Reward him with a cookie so he begins to make an enjoyable association with people coming to visit. This is just one suggestion. 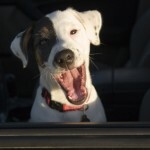 You can decide the right behavior that you would like your dog to learn. But remember, first you must take the time to teach him what it is you want him to do. Getting angry and punishing the dog for acting on instincts, may be teaching him to to fear you, or mistrust you. Over the years in our efforts to learn about dogs, we have made many mistakes along the way. What’s so amazing is their willingness to forgive, and be so intensely loyal even when we have not earned it. Come on now people… let’s try to earn it.